Two chairs physically merged so that they occupy the same space at the same time, yet maintain their unique, individual character. Reconciliation is complicated. There is a tendency to think of the warm and fuzzy aspects of the word, but I like Webster's definition: The process of finding a way to make two different ideas, facts, etc., exist or be true at the same time. This paradox of allowing space in the mind for conflicting ideas is what opens the door for redemption – but at the center of this paradox is the fact the justice is a prerequisite for reconciliation. 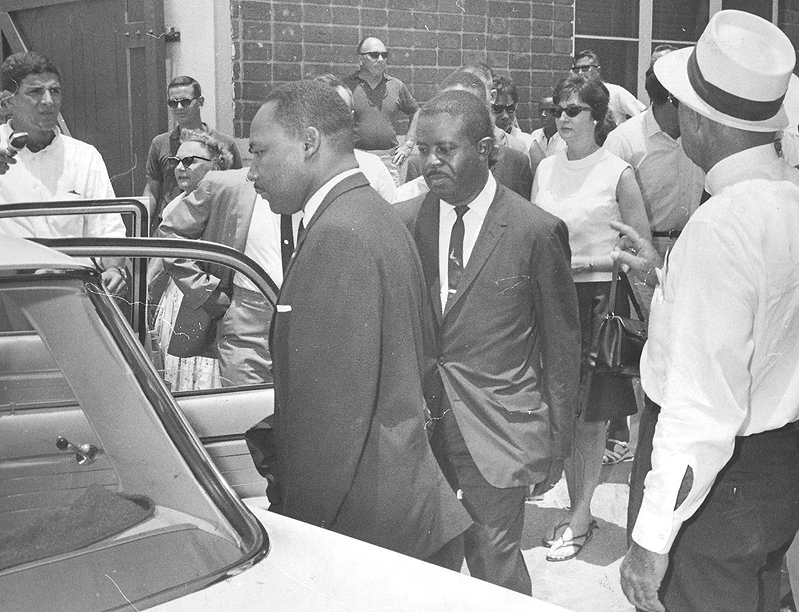 On the 51st anniversary of Dr. Kings arrest in St. Augustine Fl, the sculpture was placed on the steps of the old Monson Hotel where the owner James Brock stopped Dr. King from entering, and after a tense conversation between the two men, police came and arrested King and Ralph Abernathy. The old Monson was demolished in 2003, along with the swimming pool that James Brock poured acid in while black and white youth were conducting a swim in demonstration. These steps were salvaged and reside on the new Hilton property in a little out of the way courtyard. 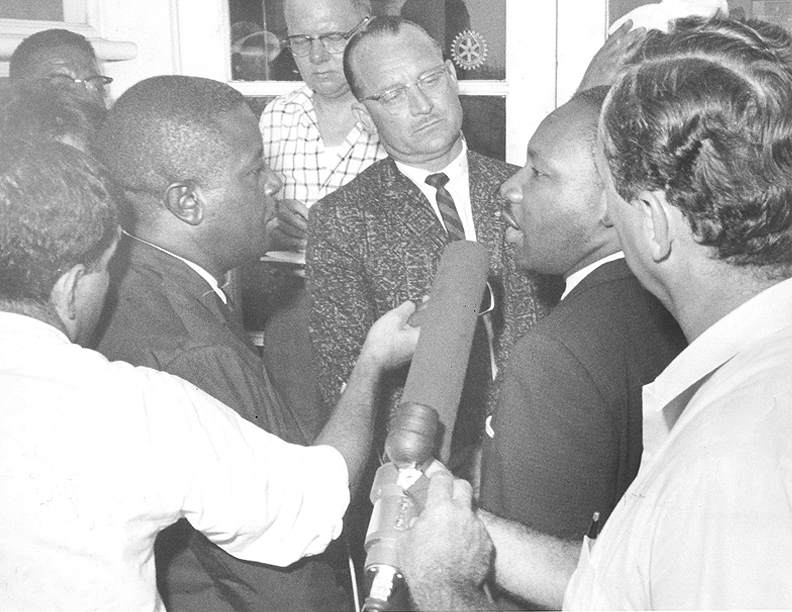 This hopeful gesture about bridging differences and coming together was done on June 17, 2015, the same afternoon a young white man entered the Emmanuel African Methodist Episcopal Church in Charleston, S.C. and took the lives of nine people. Like everyone else, I was heartbroken when I heard the news, and I questioned the usefulness of art in these moments. But after seeing the response from the congregation of love and forgiveness, I am reminded that now is when we need these human expressions more than ever. This paradox is what defines the best in humanity. It’s what allows us to believe We Shall Overcome Some Day.